On the afternoon of Sunday, February 18, 2018 at approx.. 3:30 pm Deputies responded to 121 Old Canaan Rd. in Spartanburg County in reference to a shooting. On scene, one male was discovered inside of the house, deceased from an apparent gunshot wound. A second shooting victim was located at a nearby residence with a gunshot wound that at this time does not appear to be life threatening. This investigation is in its very early stages. Updates will be provided at the appropriate time. UPDATE: 02/18/2018 - A suspect has been identified in this incident. He is Brian Cornelius Foster, B/M, DOB: 092199, 128 Old Canaan Rd. Ext., Spartanburg, SC, 29306. Warrants have been signed on him for the offenses of Murder, Attempted Murder – 3 counts, and Possession of a Weapon During the Commission of a Violent Crime – 4 counts. Despite efforts, Foster has yet to be located, and he should be considered armed and dangerous. 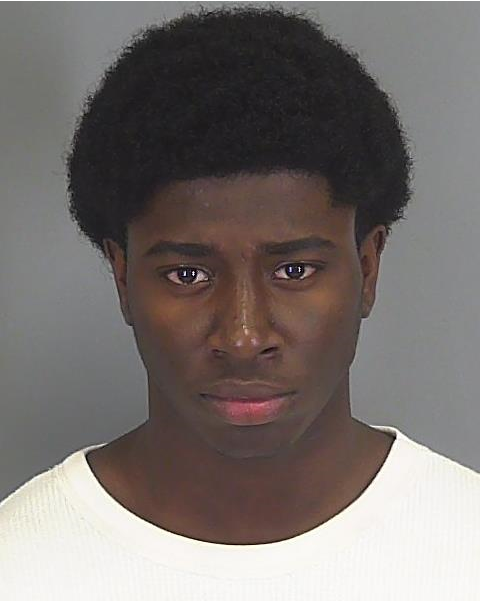 Anyone with information about his location is urged to call 911 or Crime Stoppers at 1-888-CRIME-SC. Tipsters can remain anonymous, and if their information leads to his arrest, they will be eligible for a cash reward.